Only three of the 75 samples collected during the race, south of Australia, east of Argentina and west of Ireland, have been found to contain no microplastics. 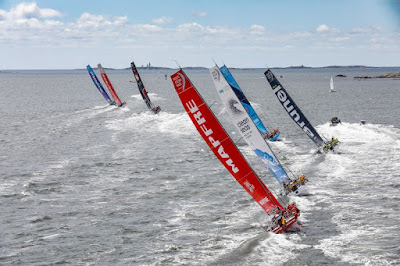 The most recent data collected, before the race finale in The Hague, by scientific devices on board Team AkzoNobel and Turn the Tide on Plastic boats, found particularly high levels of microplastics, 224 particles per cubic metre, in Skagerrak, a 150-mile strait that runs between Norway, Sweden and Denmark where the outflow from the Baltic Sea meets the Atlantic Ocean. Anne-Cecile Turner, Sustainability Programme Leader for the Volvo Ocean Race, said: “We have used a sporting event to collect groundbreaking scientific data to provide a global map of microplastics concentrations - even finding them in some of the remotest places on Earth. The stark findings give a clear mandate for positive and decisive action from national governments, international organisations, business and individuals to stop plastic polluting our seas.